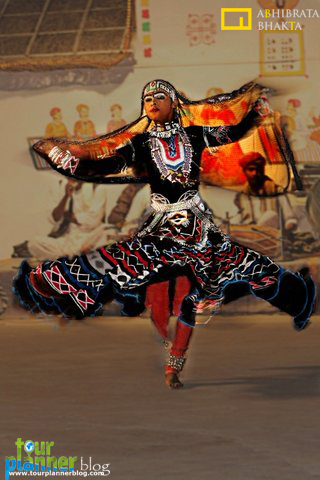 Rajasthan- The land of Maharajas, the land of versatile cultures,the land of sand dunes, the land of Havelies. 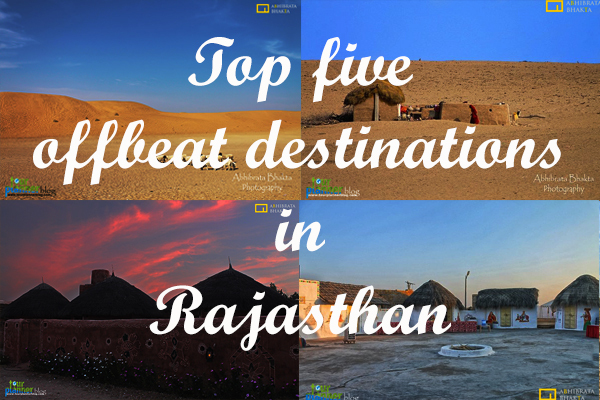 When you are in Rajasthan you must visit some beautiful offbeat places. 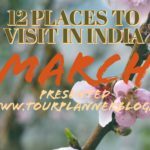 Here is a list of Top five offbeat places. Tannot Basically a village, is close to the border with Pakistan. 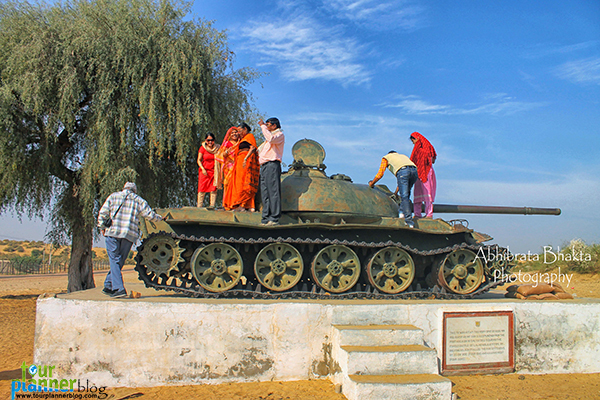 This is also a battle field of 1971 Indo-Pak war. 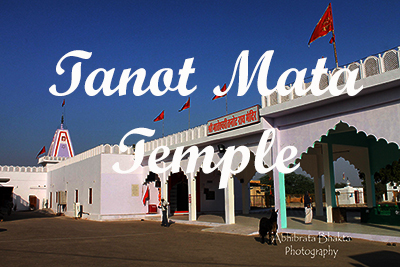 There is a temple, popularly known as Tannot Mata Temple. 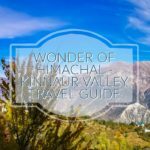 Tourists cannot go beyond this temple to see the Indo–Pak Border unless one gets the relevant documentation in advance from the District and Military Authorities. 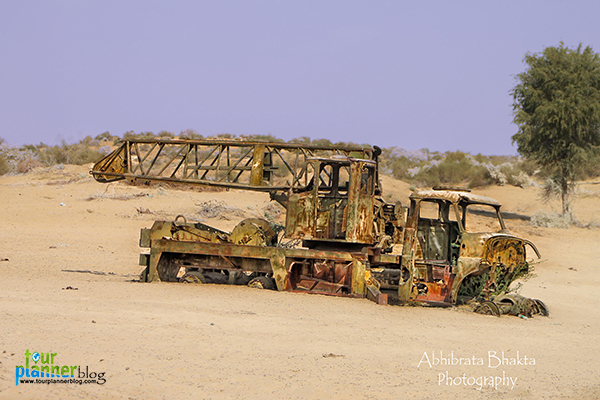 This is one of the best place to explore Thar Desert. Location: The temple is some 153 kilometers (95 mi) from the City of Jaisalmer, and it takes about two hours to reach by road. History: It is said that during the Indo-Pakistani War of 1965, Pakistani Army dropped several bombs targeting the temple but none of the bombs could fall on the temple and large number of the bombs in the vicinity of the temple did not explode. After the war the temple management was handed over to Border Security Force of India. 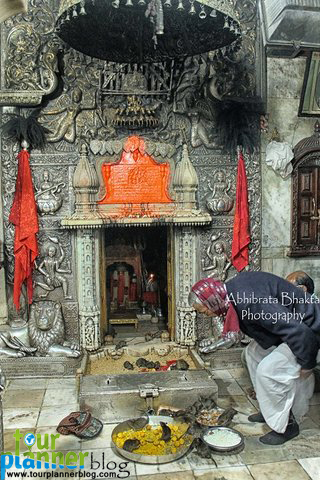 On date Border Security Force Jawans made the temple. 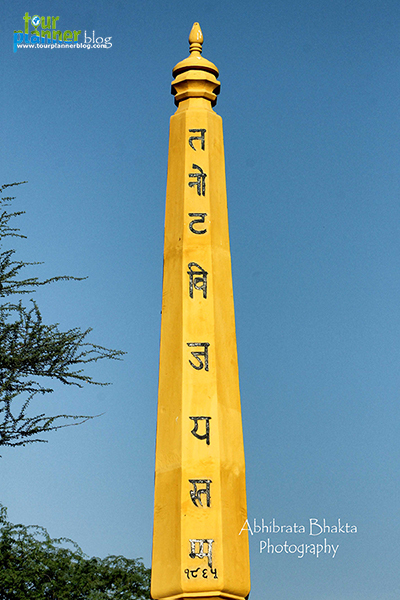 The temple has a museum which has collections of the unexploded bombs dropped by Pakistan. 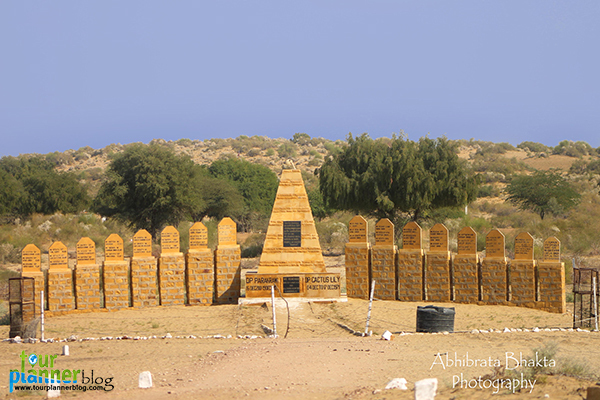 What to see: Thar Desert,Tannot Mata Temple, War Memorial, Indo-Pak Border, Wind-based renewable energy projects. 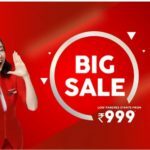 Note: Mobile networks are available upto Ramgarh. 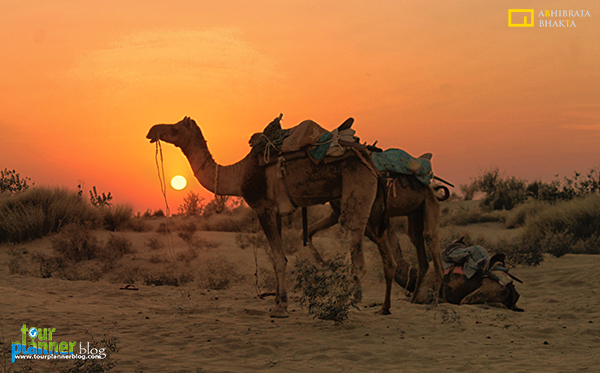 Staying Option: There is no staying option so you have to stay at Jaisalmer. 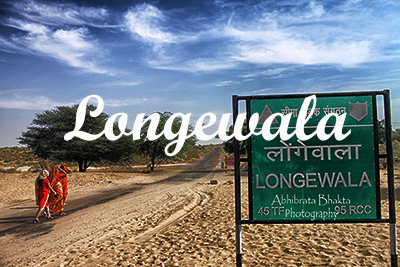 Longewala is a border village in the Thar Desert in western part of Jaisalmer. 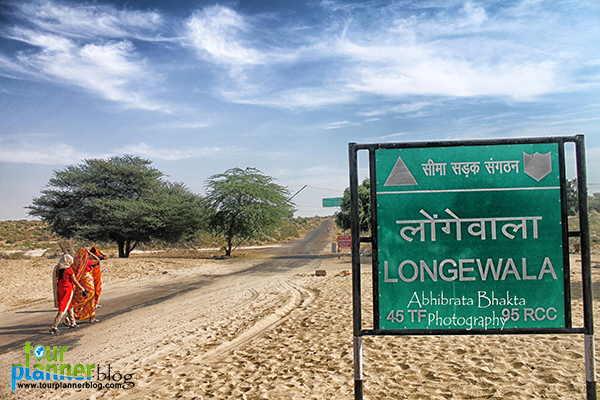 This is a popular battle field of Indo-Pak war 1971 known as Longewala Battle field.It is heard that at the time of war Pakistan took one border post from original border fence and put it at Longewala. The border post is still kept in there. 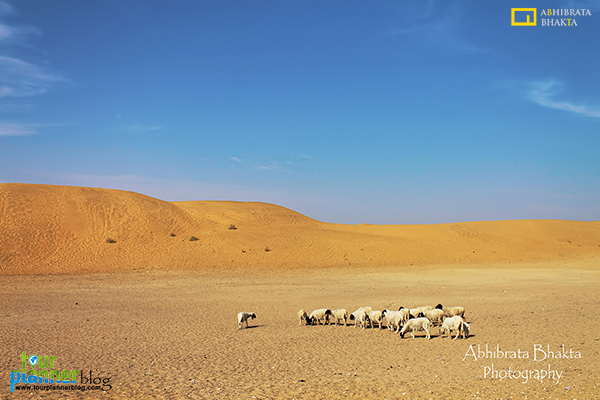 Location: The temple is some 123 kilometers from the City of Jaisalmer, and it takes about two and half hours to reach by road. 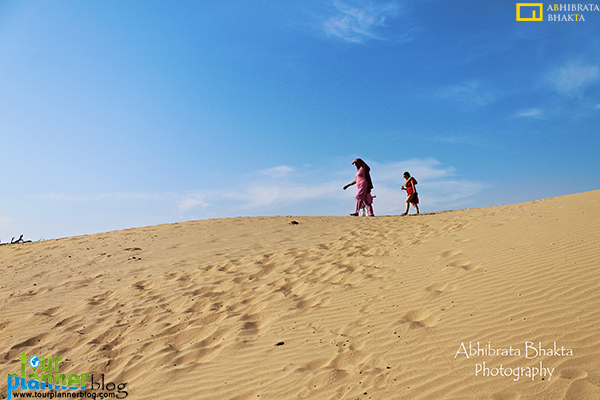 Khuri is a village located 45km from Jaisalmer. 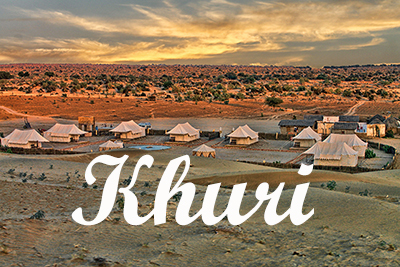 Khuri is popular for Desert safari,camel ride and watching sunset over sand dunes. 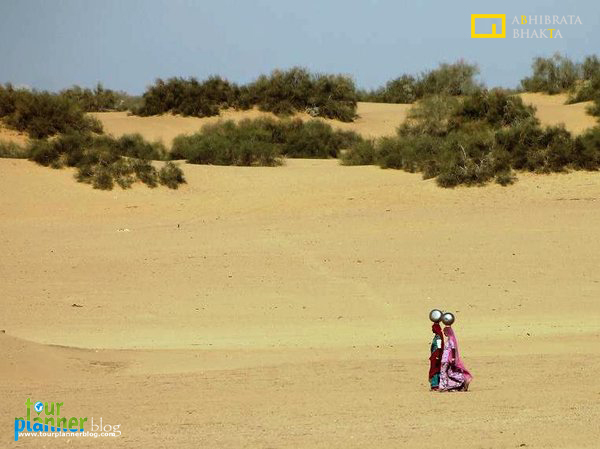 Location: Khuri is 45 km from the City of Jaisalmer, and it takes about one hour to reach by road. Note: Mobile networks are available here. 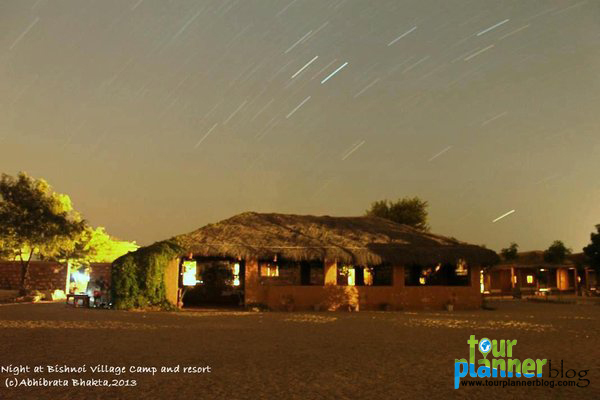 Staying Option: There are many staying options, mainly Desert Camping and Guest Houses. 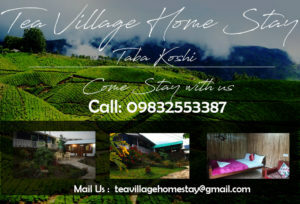 You can stay a night or two in the traditional hut. 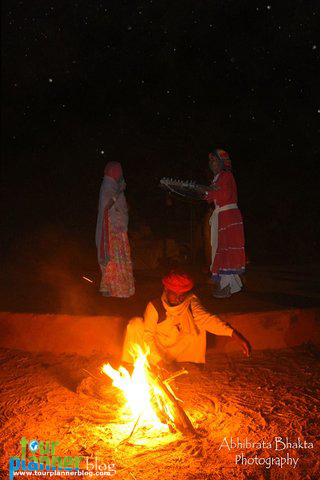 Try traditional Rajasthani Dish especially Kher Sangri. Bus Service: The bus to Khuri leaves from Gadisar lake between 9:30 am to 10 am and the return bus is approximately at 10:00 am and 2:30 pm from Khuri to Gadisar lake. 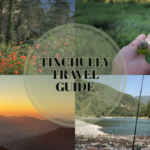 Original name of the village is Guda Bishnoiyan. 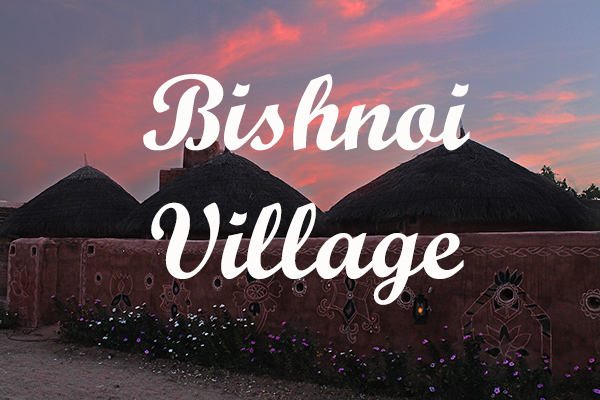 Bishnoi (also known as Vishnoi) is a religious group found here. 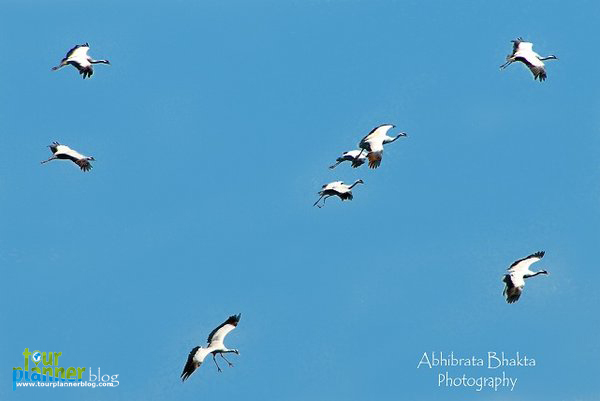 As per Bishnoi trees and wildlife should be protected, prophesying that harming the environment means harming oneself. 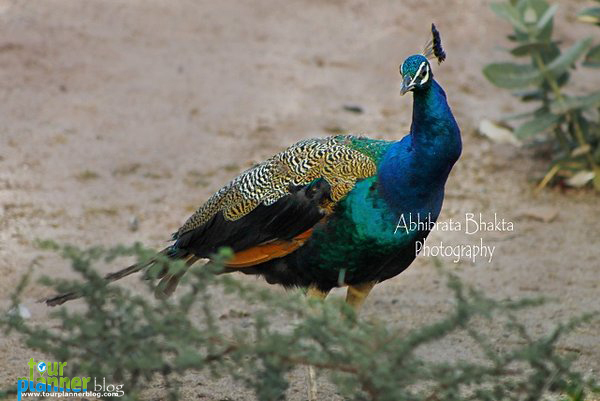 So here at Bishnoi Village you will find ample of wildlife including Black Buck, Neel Gai, Peafowl, Desert Fox, Rabbit, Tortoise, Indian Roller, Bustard, Domicile Crane, King fishers. 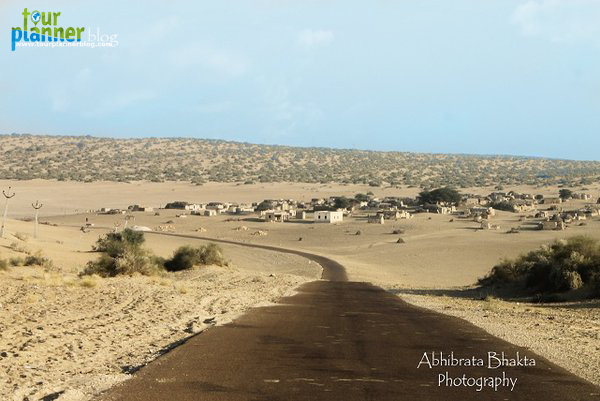 Location: Only 22km from the City of Jodhpur, and it takes about half an hour to reach by road. 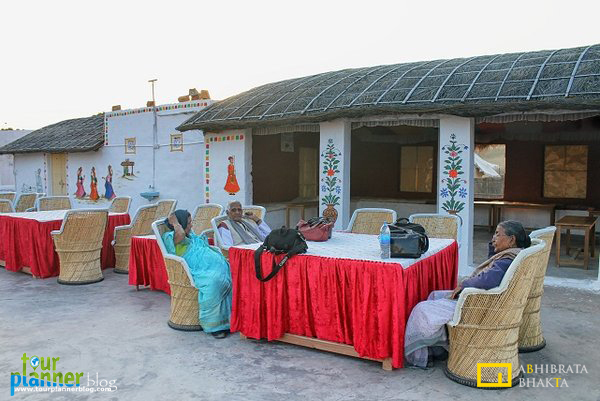 Village Huts:- Built in the traditional Bishnoi village architecture. 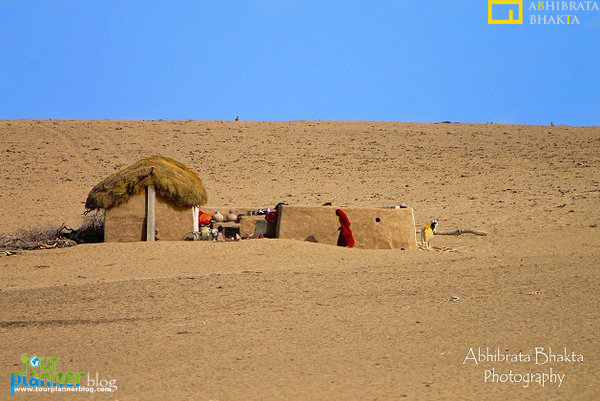 Huts are made of eco friendly local materials and plastered with cow-dung. The cow-dung is traditionally used as an antiseptic and insecticide. 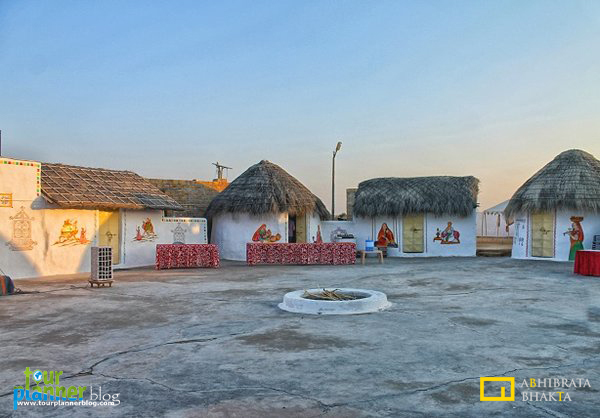 The huts are beautifully painted in traditional style by local women artisans. Along with traditional effect include all modern amenities like western style bathroom, 24 hrs running hot and cold water, Air condition room and many more facilities. 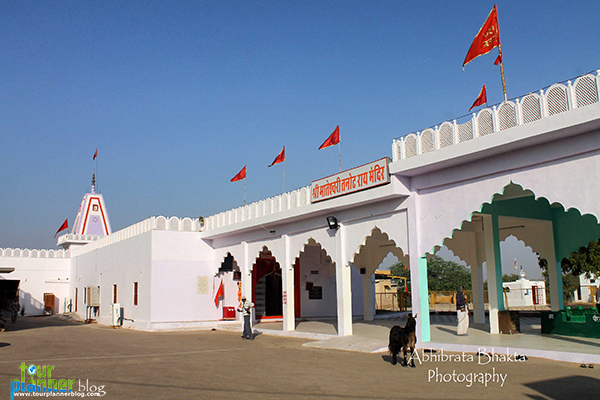 Karnimata Temple popularly known as Rat Temple is located at Deshnok. 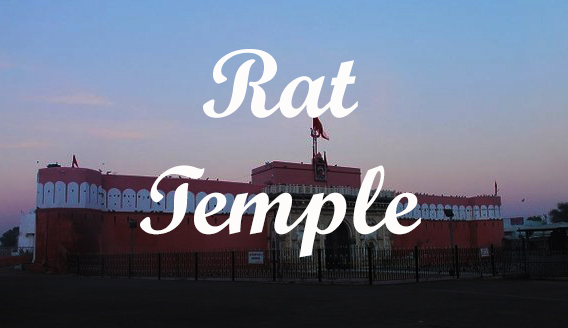 The temple is famous for the approximately 20,000 black rats that live, and are revered in, the temple. 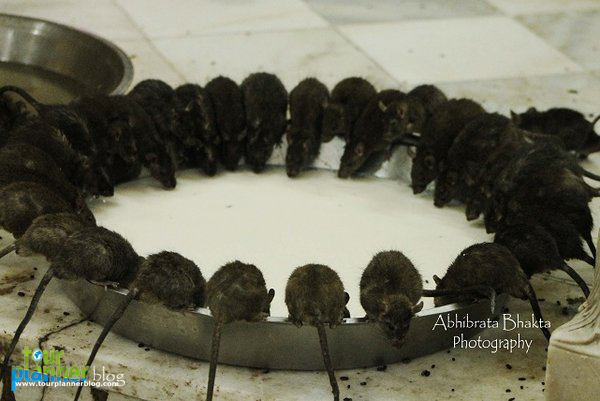 These holy rats are called kabbas. 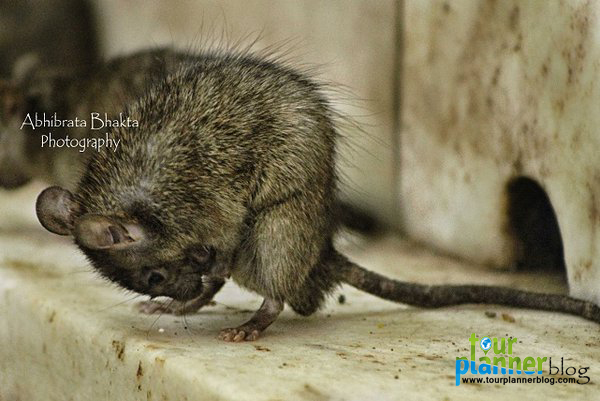 Out of all of the thousands of rats in the temple, there are a few white rats, which are considered to be especially holy. 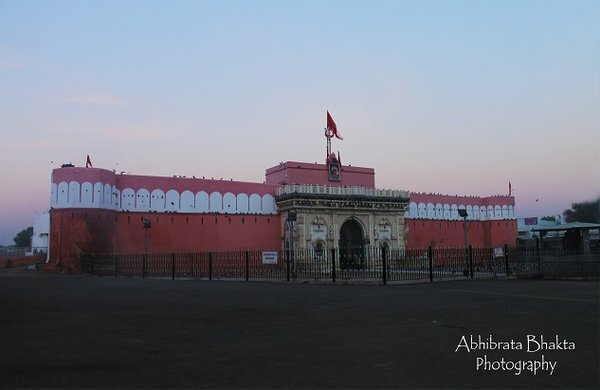 They are believed to be the manifestations of Karni Mata herself and her four sons. 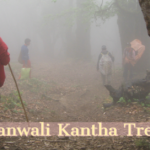 Sighting them is a special blessing and visitors put in extensive efforts to bring them forth, offering prasad, a sweet holy food. 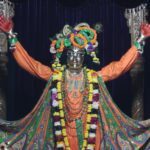 Location: The temple is 30 kilometers from the City of Bikaneer, and it takes about half an hours to reach by road. 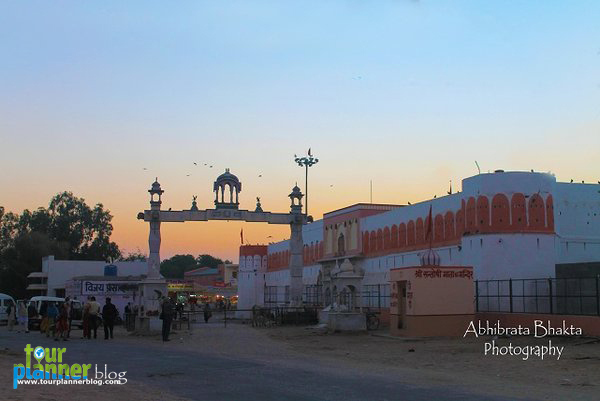 What to see: Thar Desert,Temple. 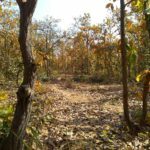 Route to follow: Bikaneer – Deshnok. Staying Option: There is no staying option so you have to stay at Bikaneer. 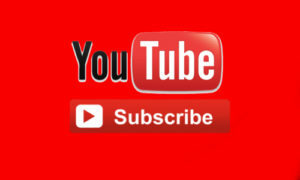 Very useful information indeed. 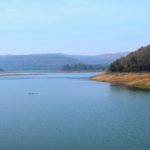 We generally visit the main places but there are lot of offbeat places to see. 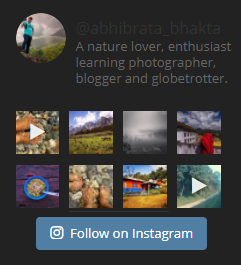 Good efforts Sir.